I am thrilled to introduce you to the newest member of RunFit MKE, Nick Grasso, in this quick Q&A. Learn what inspired this Marine Corps Veteran to become a Personal Trainer, his preferred training style, and how he’s looking to change the world through living an active life. I have a hunch you’re going to appreciate him as both a person and a coach. Growing up, I wasn’t all that confident. When I started training, it changed me. I felt stronger, better about myself. It’s been a journey for me. Eventually, I was helping others get to a better place, both physically and mentally. I want to become as proficient as I can and understand all different styles of movement, like yoga or kickboxing, so I can shake it up for our clients. So you're open to running your first marathon with me? I guess I am...running isn't necessarily my thing, but I'm certainly open to the challenge. Thank you for serving in the Marine Corps. How does this experience help you as a person and as a trainer? The Marine Corps taught me that taking care of my mind and body will impact every aspect of my life. I want to be the best parent, the best employee, the best human, and being physically and mentally fit allows me to give everything to every day. As a trainer, if people tell me they want to look better or lose weight, I can help with that. But, having served in the Marine Corps, my ultimate goal is to help our clients live longer, to feel able. I'm in a position to push people to their limits, to help them achieve wellness and confidence. If I have 20 clients and every one of those clients goes out into the world feeling good about themselves, they will positively impact others. Hopefully, they’ll also inspire others to live a healthier life. What most excites you when it comes to being part of the RunFit MKE Team? I am excited about connecting with everyone. I know how you (Coach Karen) value personal relationships. You care. You want to help people reach their personal goals. And, every client is so different from the next, which means I need a different strategy for every individual. That’s a great push for me. I’m already learning so much. What should people know about being “RunFit”? Depending on what stage you are in life, being “runfit” will present more opportunities and help to live a life without barriers. For example, when I become a grandparent, I’ll be able to engage and play with my grandchild because I’ve taken care of myself. At this stage in life, I can experience more of life's adventures in the great outdoors, which is really important to me. Also, show up! Every day. Make it a habit. Make it a priority. Give 100% to your workout and check it off your daily list. It will make you feel a sense of real accomplishment. Nick recently graduated from the University of Wisconsin-Whitewater (congratulations!) with a Bachelors in Marketing, but he has his sights set on becoming a full-time Personal Trainer. "Marketing doesn't fill me. I want this to be my full-time passion." Nick also has a Golden Doodle named Lilly. "She's all black, so she looks like a poodle. She's awesome." 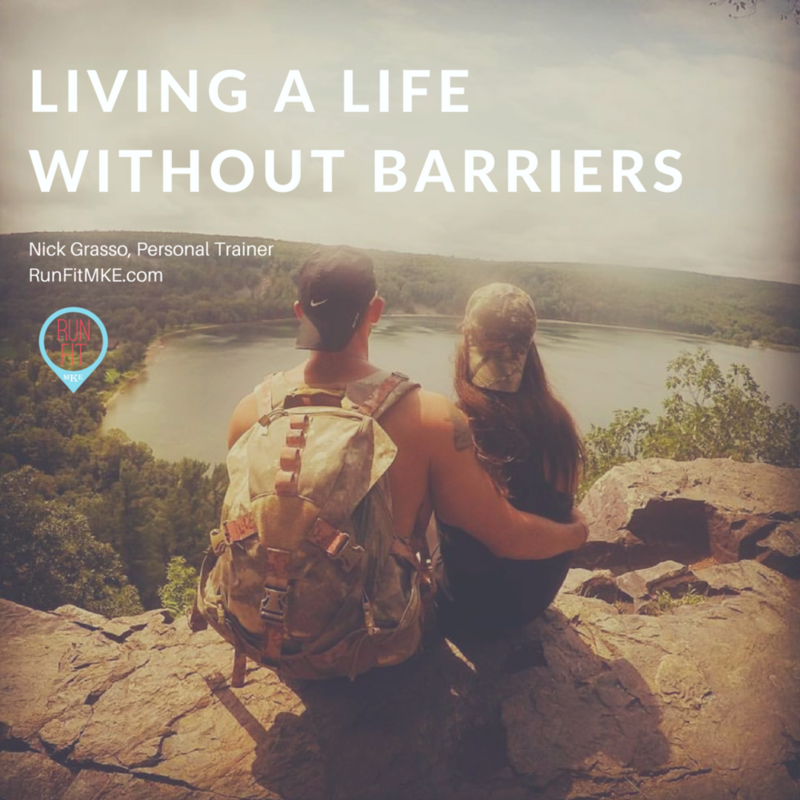 If you're inspired get active and push yourself to the limits, let's set up an appointment with our newest RunFit MKE team member, Nick Grasso. He's a great addition and I can't wait to see how he inspires our clients to achieve their best life. P.S. - The next time you see me, make sure to ask how Nick "broke Starbucks!" Looking to be in your best shape this summer? Check out our free downloadable: 5 Tips to Stay RunFit this Summer! What is the Body's Natural Medicine? The Answer is Nature.